Affordable Roofing by John Cadwell, Inc. works hard at keeping prices low while keeping the quality high. 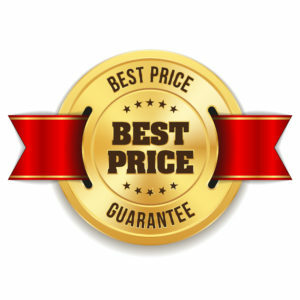 Furthermore, we are so confident that we offer the best price for your roof replacement service, We Guarantee It. We offer a Price Match or Lowest Price Guarantee. Comparing products on estimates with an “apples to apples” approach is important. 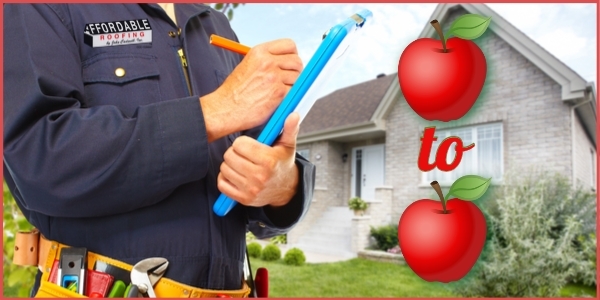 Similarly comparing your roofing company and workmanship warranties are also important. Affordable Roofing by John Cadwell, Inc. has been in business for over 23 years, has an A+ BBB rating, wonderful customer testimonials, written warranties and an excellent reputation for customer service. Above all we won’t compromise quality for cost. > Insurance coverage to protect you against potential liability, proof of insurance or contractor affidavit may be required. Last updated on 9/11/2018. Change from 5 years to 10 years due to the amount of companies closing before 10 years. > Include the installation of the proper amount of ventilation and meet all the requirements to validate your roofing shingle manufacturer warranty. Last updated on 9/11/2018. Change from 14 days* prior to 10 days prior due to manufacture price changes. The steps are easy…our competitor should be as qualified as Affordable Roofing by John Cadwell, Inc. and use equal valued roofing materials along with professional installation and detailed warranties. Call us to learn more 407-935-0050. Submit competitors professional estimate, quote or proposal to us prior to completing our Contract Agreement. Most noteworthy, if you receive a lower price on the same products from another licensed and insured, professional local roofing company that has all the above qualifications, we will meet or beat their price up to $100.00. Keeping our prices low and our quality high is how we do business. We install the BEST and fix the rest. Limit one competitor estimate, quote, proposal, cannot be combined. Affordable Roofing by John Cadwell, Inc. reserves the right to cancel or modify any of the information, price match offer, or BEST PRICE GUARANTEE program at any time.